You are here: Home / Weekly Columns / Opinion / Apple AirPods vs Fitbit Flyer: Which One Should You Buy? Apple AirPods vs Fitbit Flyer: Which One Should You Buy? (ThyBlackMan.com) Apple and Fitbit are the leading competitors in the war of wearables. In the wireless headphones market, the clash of Apple AirPods vs Fitbit Flyer is making things more interesting. We compared these two wireless headphones and here’s what we found. Just like every other wireless headphone maker, both Apple and Fitbit claim to deliver best, premium quality music experience with their wireless headphones. Let’s have a look at each of them to learn more about what’s comes out as the result of the Apple AirPods vs Fitbit Flyer comparison. Fitbit Flyer offers two different sound settings which you can control with the push of volume up and down buttons together. These settings include Signature, designed for regular travel and workout sessions, and Power Boost, which uses Waves sound technologies to amplify bass and stereo feel. Most of the time you will be listening in the Power Boost mode because in the normal Signature mode, the sound is not so great and the bass is bit weak. Keeping the earphones on Power Boost mode will surely reduce the battery life, though it is still enough for your workout sessions. Apple’s AirPods come in a different design from the Fitbit Flyer and there are some big compromises. AirPods don’t perform well in places where the external sound is too much. If you’re wearing them and speaking to someone next to you, you won’t feel the need of taking AirPods out. They simply let the external sound come in. You won’t be having a pleasant experience with AirPods if you’re traveling in a noisy environment. The sound quality of AirPods is decent, but it is not something that can’t be found in other earphones. Some fans won’t agree, but if you check some wired headphones under $50, you will get the same sound quality by spending less. But if you are interested in the combination of wireless technology, Siri support and compatibility with Apple devices, AirPods are the best wireless headphones in this price range. When it comes to choosing the best wireless earphone with premium sound quality, the design of earphones matters a lot. There are many reasons why people love AirPods – sound quality, true wireless experience, unique design, seamless connectivity, etc. But AirPods are not ideal for people who want to enjoy music in all the situations. You can enjoy AirPods when you’re on the bed, at your desk where you’re sitting peacefully, but if you are someone who visits crowded markets, travels by packed trains, goes for cycling, jogging or exercise, you will always step out with a fear of losing those tiny earbuds. Fitbit Flyer is suitable for almost all the situations – no matter if you’re working, riding a bike, running or walking on the crowded streets. Just like AirPods, they are small, lightweight, and comfort, but they offer so much more than what AirPods can do. You can customize the Flyer earphones with interchangeable wings, ear tips, and fins to make them fit perfectly. The 6-hour battery life on Fitbit Flyer is great. With a 15 minute quick charge, you get up to 3 hours of playback time. Apple AirPods, however, give 5 hours of battery life and the same 3 hours of playback time on a 15-minute quick charge. Apple AirPods are not water resistant, but the company will likely introduce an improved version of its wireless headphones with water resistance capability and better Siri integration so that you won’t need to tap your earphones every time. 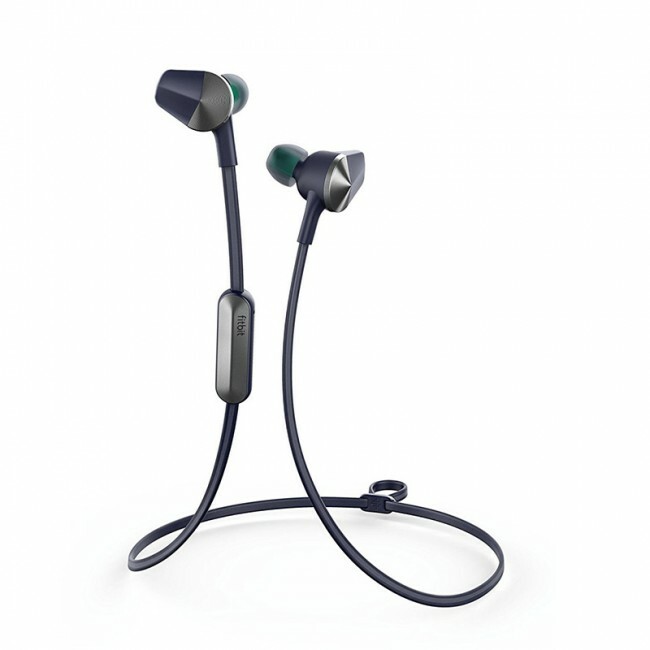 The biggest drawback of Fitbit Flyer is the company promotes the product as wireless fitness headphones but there are no specific fitness features available on the device. Pairing with smartwatches cannot be considered a fitness feature of wireless headphones, of course. If you need a pair of versatile wireless earphones which you can take anywhere and in any condition, buying Fitbit Flyer for $129.95 is a better option than spending $159 on the Apple AirPods. But if you want a true wireless experience and seamless integration with your music devices or smartphones, AirPods justify their price tag.